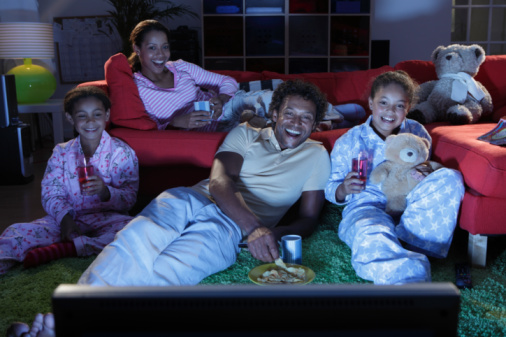 Watching a movie together as a family can be the perfect way to end off a summer day. Plus, having a stack of movies handy can be a lifesaver when summer showers wash away your plans. This fairy tale is about a peasant farmhand who takes on an evil prince to win back his one true love. Filled with adventure, fantasy, and humour, this classic movie will bring out the kid in everyone. You may find the whole family cheering out loud for the hero to be reunited with his princess. Everyone will love watching 8-year-old Kevin McCallister fend for himself after being left at home from a family trip. When Kevin finds out two men are plotting to rob his house, he comes up with clever and creative ways to thwart their plans. Besides being funny and entertaining, this movie reminds viewers not to take family for granted. Most Disney animated movies are a great choice for families and Mulan is no exception. It tells the story of a girl who dresses up as a boy to take her father’s place in the Chinese army. Besides having a great soundtrack you won’t be able to stop singing along to, Mulan is funny, suspenseful, and delightfully inspiring. This is a great movie for families because it’s all about the bond between parents and their kids. Through his journey to find Nemo, Marlin encounters all sorts of beautiful and strange creatures with quirky personalities. Finding Nemo is about the importance of family, never giving up, and realizing that even parents can still learn a thing or two. With both classic animated scenes and live-action sequences, Enchanted is truly the best of two worlds. Princess Giselle is banished from her animated kingdom and lands in modern-day Manhattan. After meeting a helpful single-father and his daughter, she finds herself falling in love. But things get complicated when the prince from her world — and an evil queen — show up on the streets of New York looking for her. This movie is about a budding scientist who fails at pretty much everything. When he creates a machine that can make it rain food, he becomes a local hero — until disaster strikes. Both kids and parents will love watching Flint and his loyal pet monkey, Steve, try to save the world. Fun fact: this movie was loosely based on a children’s book of the same name. This beautiful and hilarious movie follows the adventures of an unlikely pair: Carl, a grumpy retired balloon salesman, and Russell, an earnest young “Wilderness Explorer.” When Russell unwittingly joins Carl on a trip to South America, the two realize they can learn a lot from each other. Up shows how age doesn’t matter when it comes to friendship, and it can “pop up” when you least expect it. A criminal mastermind, three orphan girls, and a whole bunch of yellow minions show how love is enough to melt anyone’s heart. Featuring laughs for both kids and adults and plenty of action, this movie is sure to entertain everyone in the family. And once you’re done with this one, you can add Despicable Me 2, Minions, and Despicable Me 3 (which recently hit theatres) to your list. Everything is awesome in this movie about a LEGO figurine, Emmet, who always follows the rules. When he discovers he’s the key to saving the world, he embarks on an adventure to take down an evil tyrant. An odd and hilarious crew of characters join Emmett to help him accomplish his mission. This live-action remake of Disney’s 1967 classic may be a bit scary for younger kids, but it’s sure to please most members of the family. When Mowgli, who was raised by a family of wolves, is forced to leave his home, he starts off on an exciting journey of self-discovery — and encounters some fun friends along the way. Full of action, humour, and suspense, the movie features stunning visual effects, familiar songs, and a great cast.